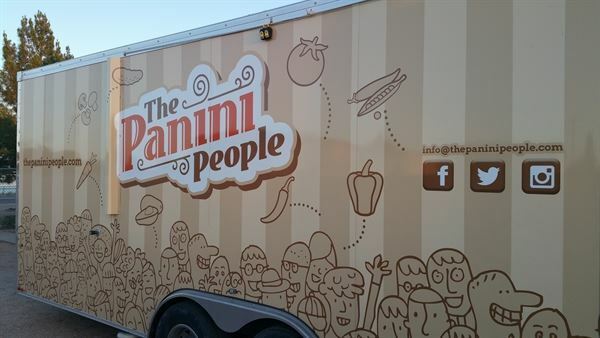 We are The Panini People a Gourmet Food Truck and valley wide caterer in Phoenix, AZ. Specializing in gourmet paninis and sides, along with sample sized snacks great for any hor d"oeuvres or cocktail hour.We prideourselves in using the freshest of meats and cheeses and locally baked bread. We can customize our menu to help fit into any occasion. Please give us a call to book our Food Truck today! Fresh, New and Hassle free fun!